The main objective of this report is to analysis Human Resources Management Practices on Pubali Bank Limited. General objectives of this reports are to comply with the entire branch banking procedures, make a bridge between the theories and practical procedures of banking day to day operations and understand the terms that has been taught in the Human resource department. Here also identify the problem of HRM practice in pubali bank and to recommend some suggestion to solve the identified problem. To comply with the entire branch banking procedures. To make a bridge between the theories and practical procedures of banking day to day operations. To analyze the HRM practice of Pubali Bank Limited . For preparing this report that was assigned to the Pubali Bank Ltd.As an internee. During the internship period the collection of information from different sources. To conduct the study follows methodology were used. Such as: Primary source and Secondary source. To collect the primary data were used a structured questionnaire and interview 30 officer 15 executives. It includes annual report, general report, investment manual, general, general banking manual, selected books, journals and other publication etc. In formulating the Human resource management, HR managers must address three basic challenges; the need support corporate productivity and performance improvement efforts; the fact that employees play an expanded role in the employer’s performance improvement efforts; and the fact that HR must be more involved in designing not just executing the company’s strategic plan. There are six basic steps in the strategic management process ; Define the business and its mission perform an external and internal audits translate the mission into strategic goals; formulate a strategy to achieve the strategic goals; implement the strategy and evaluate the performance. A strategy is a course of action. It shows how the enterprise will move from the business it is in now to the business it wants to be in, given its opportunities and threats and its internal strengths and weaknesses. The high performance work system is designed to maximize the overall quality of human capital throughout the organization, and provides a set of benchmarks against which today’s HR manager can compare the structure, content, and efficiency and effectiveness of his or her HR system. Human resources (HR) segment contains the full set of capabilities needed to manager, schedule. Pay, and hire the people who make a company run. It includes payroll, benefits and administration, applicant data administration, personal development planning, workforce planning, schedule and shift planning, time management, and travel expense accounting. Human resources management is concerned with the people dimension in management. Every organization is made up of people acquiring their services developing their skills motivating them to high levels of performance and ensuring right people right time and right place. Human Resource Management is a process consisting of four functions, these are Staffing, Training & Development, Motivation, Maintenance. For a HR manager for maintaining an effective workforce it is necessary to know these functions. Staffing: concerned with sourcing & hiring qualified employees. Recruiting: The process of discovering potential job candidates by external & internal sources. Selection: Choosing the best incumbent for the organization. Training & Development: concerned with assisting employees to develop up-to- date skills, knowledge & ability. Orientation: The activities involved in introducing new employees to the organization & their work units. Employee Development: Future oriented training focusing on the personal growth of the employees. Carrier Development: The sequence of positions that a person has held over his/her life. Motivation: Helping employees exert high energy level. Motivational Theory & job Design. Maintenance: maintaining employee’s commitment & loyalty to the organization. Understanding the Environment internal environment; structure, size, business, strategy, technologies etc. Enduring advantage will come from making better used people. Staffing the organization: Staffing activities may include- analyzing the job, recruiting job candidates, selecting, selecting the most appropriate one. Workforce Diversity: (varied backgrounds of employees) : managing people was considerably simpler fifty-years before because workforce was more or less homogenous (within as well as outside the national boundary). After 1960s minority and female workers started to rise in USA and accommodating their demands and needs have become vital responsibilities for managers. Until very recently, organizations took a melting-pot approach to differences in organizations. It was assumed that people who were different would somehow automatically want to assimilate. But today’s manager have found that employees do not set aside their cultural values and lifestyle preferences when they come to work. The challenge for the managers therefore, is to make concerted efforts to attract and maintain a diversified workforce, not only in USA but all over the world. More clearly, disparate impact occurs when the standard is applied to all applicants or employees, but that standard affects a protected class more negatively. After liberation the Eastern mercantile bank was converted into Pubali Bank and was taken under the government management because the government policy was nationalized of all financial institutions. The objective was strengthening the rural economy. The result of the policy was a mixed one. In late 70s when the government wanted to establish a market oriented economy with less public sector role. As pert of the privatization and liberalization process this bank was denationalized in the year 1983. it started function as a public limited company Limited and registered as Pubali Bank Limited. All liabilities and asset of the bank is transferred to the limited company. The bank was incorporated under the Companies Act (Act VII) of 1913 as a limited company having its Head Office in Dhaka. The Bank started functioning with the approval of Bangladesh Bank under the guidelines, rules and regulations given for scheduled commercial banks in Bangladesh. General banking is the starting point of all the banking operations. It is the department, which provides day-to-day services to the customers. Everyday it receives deposits from the customers and meets their demand for cash by honoring cheques. It opens new accounts, remit funds, issues bank drafts and pay orders etc. Since bank is confined to provide the services everyday, general banking is also known as ‘retail banking’. According to World Bank, the general people understand the depositing and withdrawal of money and credit financing. But Bank performs numerous types of services. To deal these services bank has to maintain many register/ ledger and documents. The token issue department uses a register book and different types of tokens decorated with different letters for different types of accounts. There are two types of tokens. One is for savings A/C and another is current / other accounts. The client will encash money from his account will show his cheque to the respective officer of the desk. The officer will give him a token with particular number after being sure of his two signatures on the back of the cheque. The officer will give him a token with a particular number on the back of the cheque. The client will then proceed on for encashment. The officer then gives an entry about the token number, account name and the amount in the column of the register book. The token will be checked by the responsible officer for maintaining at the end of each business day. Tokens are then handed over to the supervising official concern to keep them in a locked box. Tokens are checked once a month by the supervising officer in charge wheather tokens is ok or not. When a token is lost it is informed to the head office for a matter of precaution. In case of local clearing one bank sends money by cheque or DD which will be collected in the name of the account holder of this branch. This cheque or DD will be taken to the clearing house where agents of all banks exchange these instruments. Important thing is that the paying Bank must be in the local area (Dhaka). In case of IBC the branches must be of the same banks for short collection, the paying banker is in the area other than Dhaka whereas bank transfer will be between two accounts of the same branch. Name of the account is very clearly written on the deposit slip. Full particulars of the deposit instruments such as cheque numbers, name of bank, etc are properly recorded on the paying slip as required. The pay in slip has been signed by the depositor. Full particulars of the railway receipts and instruments of title goods, bills of exchange, invoice etc. associated with an inland documentary bill received from the depositors direct at the counter or by post from other branches/ banks endorsement thereon. All cheques, bills and other instruments are crossed with crossing seal. After categorizing all the instruments and checked out the preliminary mandatory things, the dealing officer gives entries in the appropriate column of subsidiary ledger for crediting the accounts. When a customer want to open a deposit account in bank, he/she will have to go the A/C opening section to know the rules and regulations for opening account and to have the set of documents required. Since PBL is an authorized dealer it can open deposit A/Cs denominated both in Taka and approved foreign currencies. (b) Offer a higher rate of interest. In our country PCBs and foreign banks are appreciated to attract deposit because of their superior customer services. PBL principal office branch with its traditions customer service approaches faces difficulties to draw attention of new customers. To input date into computer from a/c opening form. To maintain and update the a/c opening file for different types of accounts. Clubs / Societies / Associations /School / Colleges / Universities etc. Current A/C : Interest free and generously withdraw able. Short Term deposit: Usually interest bearing and with draw able on short notice. Fixed deposit: Interest bearing and definite period like one year or six month. Non Resident foreign currency deposit: All non residents of Bangladesh can open this interest bearing account in the form of term deposit with a minimum amount of $1000 or equivalent. Private Foreign Currency A/C: Bangladeshi National residing abroad or foreign nationals may open this a/c with deposit mode from inward. Convertible Take Amount: A type of non-interest bearing current a/c designed specially for foreigners living here. Private foreign Currency A/C: Bangladeshi nationals residing abroad or foreign nationals may open this a/c with deposit mode from inward. Letter of mandate is required where necessary. Soon after the opening of a new Account a letter of Thanks should be sent to the introducer. A letter of thanks as per prescribed should also be sent to the account holder immediately upon opening the account, under registered post with a/c for verification of postal address as well as genuineness of the Account holder. In case of a new account is opened a proprietorship / partnership firm, having local business address, a responsible officer of the branch will inform the firm to obtain the confidential report on the firm. These accounts are meant for business firms and corporate bodies. Initial deposit requirement is Tk 5000 in addition to common documents required to open a saving a/c following additional documents will be required for depending upon the nature of the organization. Foreign Currency account may be opened in US dollar, Pound Sterling, Douche Mark and Japanese Yen. Credit may be made to this A/C against inward remittance from abroad. Usually this a/c operated like a current a/c but no checkbook are issued against his a/c. Withdrawals may be made through withdrawals slips. Interest may be paid on this a/c if it is maintained in the form of term deposit for a minimum of 90 Day’s Bangladeshis’ living abroad can open even without initial deposit. A nominee can be appointed. Nominees photo and account no. Duplicate cheque book in lieu of lost one should be issued only when A/C holder personally approaches the bank with an application. Fresh Cheque Book in lieu of lost one should be issued after verification of the signature of the Account holder from the Specimen signature card and on realization of required excise duty only with prior approval of manager of the branch. Cheque series number of the new cheque book should be recorded in ledger card signature card as usual. Series number of lost cheque book should be recorded in the stop payment register and caution should be exercised to guard against fraudulent payment. Upon the request a customer an account can be closed. After received an application from the customer to close an Account, the following procedure are followed by a Banker. The customer should be asked to draw the final cheque for amount standing to the credit of his a/c by deducting the amount of closing and other incidental charges. In case of joint a/c the application for closing the a/c should be signed by all the joint holder. The Cheque Clearing Section of PBL principal office branch sends Inter Branch Debit Advice (IBDA) to the Head office on the receiving day of the instruments. The main Branch takes those instruments to the Clearing House on the following day. If the instrument is dishonored, Head office of PBL, sends IBDA to the PBL, Principal Office branch. The total procedure takes three days if everything goes orderly. The Cheque Clearing Section of PBL, Principal Office branch sends Outward Bills for Collection (OBC) to the concerned Paying Bank to get Inter Branch Credit Advice (IBCA) from the paying Bank. If the instruments are dishonored by the Paying Bank, the Paying Bank returns it to the PBL, Local Officer Branch describing why the instruments are dishonored. The procedure takes around a week. The Cheque Clearing Section of PBL, Principal office branch sends Outward Bills for Collection (OBC) to the concerned paying Branch to get Inter Branch Credit Advice (IBCA) from the paying returns it to the PBL, Local Office branch describing why the instrument is dishonored. Local Remittance is used to transfer of funds denominated in Bangladesh Taka between banks within the country. It is an order from the Issuing branch to the Drawee Bank/ Branch for payment of a certain sum of money to the beneficiary. The payment instruction is sent by Telex / Telegram and funds are paid to the beneficiary through his account maintained with the Drawee branch or through a pay order if no a/c is maintained with the drawee branch. The cash department does remittance of cash. Major source of income of a bank is the earning from credit. Borrower selection is the main and prime task of this department. Advancing loans is the primary function of the commercial banks. Without loans country’s industrial and commercial development is not possible. Therefore, smooth loan system in banking sector is a catalyst for economic development of a country. Manger has to ensure that the loan will generate adequate cash. For that matter the loan should be engaged in productive activities. Such an employment will increase economic activities, promote trade and commerce, create employment avenues and increase movement of goods and flow of cash. This flow of cash is known in the banking concept as cash generation. If there is enough cash generation, funds will automatically flow into the borrowers accounts with the bank and will show a satisfactory turnover in accounts which the lending bank always demands. This is why the manager’s speculation should be making the highest cash through the employment of the advances. Security is the source of information on the prospective borrower. If offered are valuable properties like land, building, shares of stocks or pledged goods, these will offer adequate information about the borrower as to his financial position. Securities (tangible or intangible) offer a yardstick for measuring the extent of involvement of the borrower himself. The lending bank’s investment of funds is a joint venture of the banker and the borrower. The securities offered are the borrower’s portion of involvement i.e. his equity or capital. Thus the greater is his involvement, the better for the banks. The borrower in that case will think twice that if the business goes wrong, it is who will suffer most. Thus it will be in his own interest that he will avail and utilize the loan as per agreed stipulations. Thus the best way to safeguard the lending banks interest is, as far as possible to maximize the banks commitment. The branch Manager’s responsibility as to security is also to see how much control he will be in a position to exercise on the entire stocks of the borrower. In appraising a loan process, the selection of the prospective borrower is the most vital point. The borrower is the real actor and must be in position to achieve the purpose for which the loan has been requested. In selecting ideal borrower, the branch manager thus assumes the greatest responsibility. Capital is another point to indicate the borrower’s position. He should be given loan in proportion to this own investment as working capital. As a general rule a bank should not sanction loan more than the investment of the borrower. Then the consideration of borrower’s capacity – whether the borrower can utilize the funds or not. Of all the qualifications of a prospective borrower, character is undoubtedly the greatest. While the capacity and capital are the factors upon which depends his ability to repay the money advanced, the character of the borrower indicates his intention to repay the loan. Branch records: The manager may have first hand information on a prospective borrower by a reference to his records, if the banks with him. The turnover of his financial dealings is reflected in the ledger folios of his branch. Borrower’s Record: The prospective borrower may be advised to submit his books of accounts balance sheet etc. for examination by the manager. These financial tools reflect the position of his assets and liabilities and a fair idea about the capital and capacity of the borrower. Secured Advance: Secured advance are those advance which are secured by tangible securities of adequate value over which the bank has either absolute or constructive control in addition to the personal guarantee of the customer. Unsecured Advance: The advances which are granted to a constituent of undoubted standing and reliability and only in exceptional circumstances and for short period without any tangible security are called unsecured advances. The loans, which become eligible for payment when demanded by the bank, are termed as demand loan. If contingent or any other debt becomes forced loan, then those are also termed as demand loan. The loans which are to be paid within limited term with a particular payment schedule are known as term loan. Short term Agri and Micro Credit: The short-term loans which are listed in yearly loan disbursement schedule served by the loan department of Bangladesh Bank, are termed as short-term agricultural loan and micro-credit. The loan given to the agricultural sector for less than 12 months is also included in this category. By short-term loan we mean the loan below Tk 10,000 to be paid within 12 months. Foreign Exchange rate & foreign Remittance. Foreign exchange transaction is classified according to there activities. Revocable: A revocable credit is a credit which can be amended or cancelled by the issuing bank at any time without prior notice to the seller. Irrevocable: It constitutes a definite undertaking of the issuing bank(since it can’t be cancelled or amended without the agreement of all parties thereto), provided that the stipulated documents are presented & the terms and conditions are satisfied by the seller. Revolving Credit: It is the credit which provides for restoring the credit to the original amount after it has been utilized. Transferable Credit: It can be transferred by the original beneficiary in full or in part to one or more subsequent beneficiaries. Back to Back Credit: It is a new credit opened on the basis of an original credit in favor of another beneficiary. Anticipatory Credit: The anticipatory credit makes provision for pre-shipment payment, to the beneficiary in anticipation of his effecting the shipment as per L/C conditions. Red Clause Credit: A red clause credit is a credit with a special condition incorporate into it that authorizes the confirming Bank or any other Nominated Bank to make advances to the beneficiary before presentation of the documents. The organization has a human resource management. Management will have to concern about the satisfaction of the employee. Leave & working hour are not maintained. Last two years the turnover rate of employee is getting higher. Pubali Bank is the largest bank in the private sector of our country. Increment in the net profit of the banking sector was on an average 10% last year. Though it is observed that credit management of the bank is quite satisfactory, the following recommendations can be taken into consideration to make it more effective. 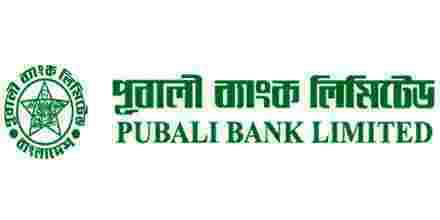 Bangladesh Bank should monitor more closely the lending activities of Pubali Bank. As once upon a time it was a nationalized bank, various rules regulations, office norms and working environment still exist like other nationalized banks of our country. Pubali bank has to come out from that footing and be organized like some reputed private sector banks, which are doing very well. There exist various rules and also prescribed format for offering loans and advances to the customers. In maximum of the case these are not followed properly. Lending Risk Analysis (LRA) is not done regularly and properly. Application forms of the customers remain erroneous and full of wrong information. It has been observed that the information given by the customer regarding business, property holding, inventory, bio data of entrepreneur do not tally on ground. Even after that the banker provides these customers with loans after doing necessary correction in the customer’s application by the banker. Close monitoring and supervision has to be ensured by the bank authority in this respect. After assessing 3-4 years record it is found that near about half of the loans and advances have become classified. Moreover 4-5% of that classified loans are substandard or doubtful. Almost all the amount of classified loan is bad/loss percentage of which is 95%. Carrying forward of this loans have made the figure of the net profit of the bank an inflated one which is also misleading. Some bad/loss loan with long outstanding duration has to be written off. Assessing the five years credit statement of the bank, it is found that recovery rate of classified loan is only 10% to 15% which is very much alarming. Though it slightly increased last year, a coordinated effort has to be undertaken by the bank to increase the recovery rate. More incentive program needs to be undertaken for the officers and employees of the bank to improve the recovery rate. Here the incentive scheme taken by Bangladesh Krishi Bank named “MIRACLE” can be mentioned which has given fruitful result. Credit information bureau (CIB) should act more efficiently. All the necessary information of a prospective borrower should be available to the bank authority also. Here the bank should use upgraded computer software for this purpose. The bank itself should be much more cautious before sanctioning loan. The bank authority should strictly follow the loan appraisal procedure, and also ensure that all the information provided by the clients is correct. All the officers and employees working specially in the recovery section should be more sincere to their respective job. Long outstanding cases filed in the insolvency court should be resolved as early as possible with greater priority. For its own interest bank should employ well-reputed lawyers to settle all the outstanding cases. More emphasis should be given on foreign exchange transactions. Timely collection of export proceeds has to be ensured. The bank should strictly follow all the means and ways to check the fraudulent activities in case of foreign exchange trade. Opening an L/C involves lot of paper works and also time consuming. Officers and employees are not also very thorough and well conversant with the rules and policies of foreign exchange. They need to be trained on these and the whole system has to be made computerized so that it takes less time to open an L/C. Due to non-availability of affiliation, negotiation becomes difficult with some of the foreign banks. For this some prospective exporter and importer are discouraged to do their business with all those particular countries. To expand the business activities, Pubali bank should make an endeavor to increase the affiliation with more number of foreign banks. Normally in our country most of the report does not see the light, they remain in pen and paper. Even if it is published, the recommendations are not implemented. It is nice to observe that Government has already promulgated some rules basing on those recommendations. So the recommendations should be implemented despite of any hindrance for the betterment of banking sector. During the seven weeks practical orientation at Corporate Branch, almost all the desks have been observed more or less. It has been arranged for gaining knowledge of practical banking and to compare this practical knowledge with theoretical knowledge. Comparing practical knowledge with theoretical involves identification of weakness in the branch activities and making recommendations for solving the weakness identified. Though all departments and sections are covered, it is not possible to go to the depth of each activities of branch because of time limitation. However, highest effort has been given to achieve the objectives the practical orientation. With a view to analyzing the status of Pubali Bank Limited applied in indeed very much consistent and relevant to develop the rural areas. Human resource management is the process of acquiring, training, appraising, and compensating employees, and attending to their labor relations, health and safety, and fairness concerns. It’s true that any individual who works in Human Resources must be a “people person.” Since anyone in this department deals with a number of employees, as well as outside individuals, on any given day, a pleasant demeanor is a must. In the light of above information we find that This Organization has excellent competitive advantage than its measure competitors. It is also positive considerable performance of the organization merging internationally, besides this Organization is giving efforts to introduce different types of problem. On the other hand to make Organization’s business position strong. Human resources management is very much important for every business organization. Human Resources may be the most misunderstood of all corporate departments, but it’s also the most necessary. Those who work in Human Resources are not only responsible for hiring and firing; they also handle contacting job references and administering employee benefits. Actually these departments do that work. This department of the organization works with the employee and the staff and worker. This department deals with their job planning and design, recruitment, selection, measure their job performance and target their compensation.